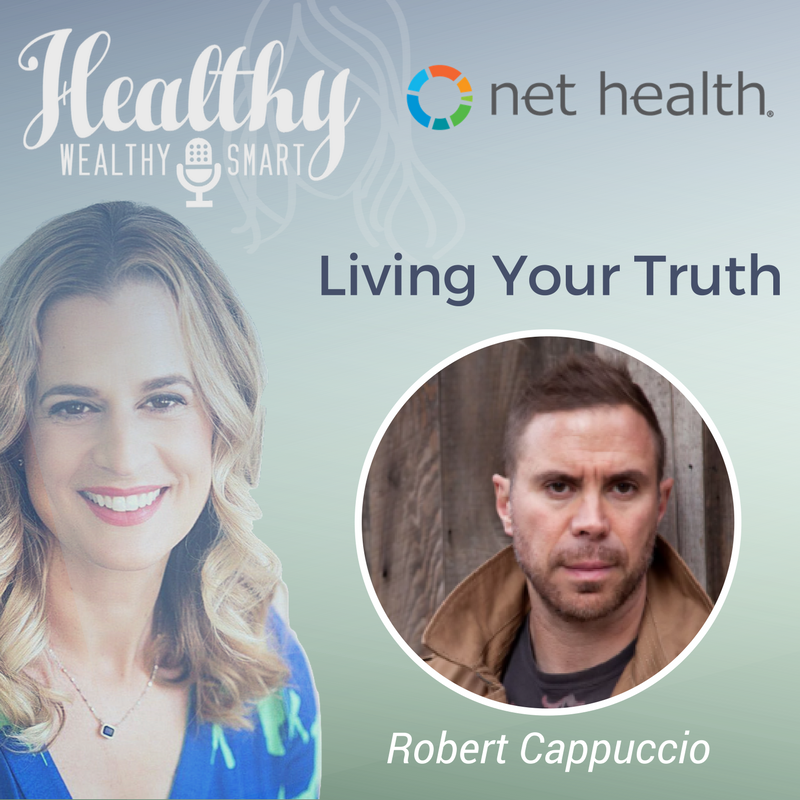 On this episode of the Healthy Wealthy and Smart Podcast, Bobby Cappuccio joins me to discuss living your truth. Robert Cappuccio is a respected motivational speaker and educator. He is a highly sought-after corporate coach, and considered to be a leader and pioneer in the areas of personal and professional development, as well as behavioral change. Robert Joseph Cappuccio, aka Bobby, has spent the last two decades pushing for both an industry and individual shift in perspective, from a solely outward focused goal oriented approach to health and fitness to a more holistic approach that is centered on behavioral change. A phenomenon that has helped position PTA Global (a company Bobby co-founded) as a leader in professional fitness development. Bobby has championed both his personal and professional experiences into practical programs designed to help corporate, industry personnel, as well as individuals, get what they truly want. An ideal he firmly believes attainable because result comes from process – be it the process of working on who you are in the moment, the creative process, or strategic processes in business and in one’s personal life. Bobby began coaching shortly after a paradigm shift occurred in his life. He was in his early twenties, and a certified personal trainer. Born with a severe facial deformity and diagnosed with Tourette syndrome at age nine, he suffered abominable abuse in and out of his home until he stumbled upon a marvel: exercise. It saved his life. He discovered that by redirecting his focus, he could affect positive change in not only his life, but in the lives of the people he in turn trained. In helping others, he was in fact helping himself. In sharing his discoveries (both learned and experienced) over the years, he became a world-renowned speaker, author and coach. As co-founder of PTA Global, former head of training and development at David Barton gym, former director of professional development at the National Academy of Sports Medicine (N.A.S.M. ), Director of Coaching at the Institute of Motion (IOM) and content curator for PTontheNet, Bobby’s reach runs wide. A sales, leadership, and cultural development consultant for various companies including Hilton Hotels, Virgin Active, Fitness First, 24hr Fitness, David Lloyd Leisure and multiple small businesses nationally and abroad, Bobby travels the world impacting lives, inspiring positive change and growth in individuals and companies alike. A presenter at business and fitness conferences across the globe including IDEA, Filex, CanFitPro, FitPro, IHRSA, Pure Fitness Asia, Perform Better, Equinox, Gold’s Gym International, Lifetime Family Fitness, and countless other corporate events, conventions, and workshops aimed at training and developing top notch fitness professionals, Bobby continues to share the impact of honing in on behavioral change in helping clients reach their professional, fitness, and wellness goals. Bobby can be seen weekly on his YouTube and Facebook Video sessions, and heard on various podcasts, tackling subject matters ranging from how sleep affects productivity to tried and true sales closing techniques and customer retention strategies.